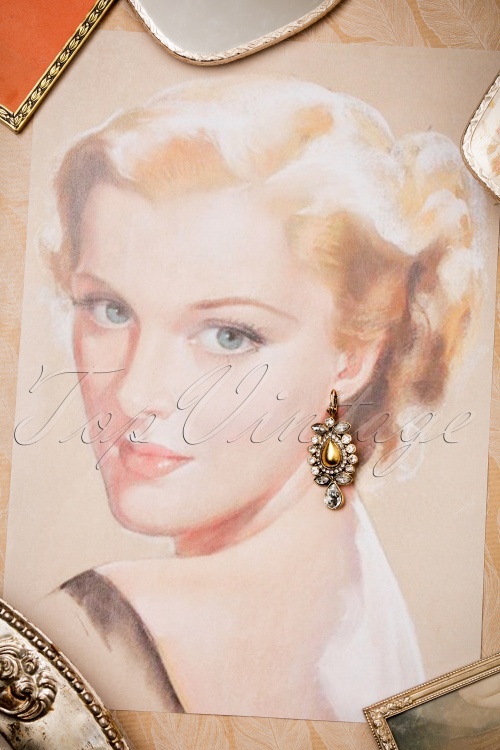 You will definitely shine with these 30s Allison Diamond Earrings in your ears! 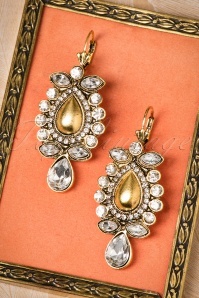 Super elegant these babies! 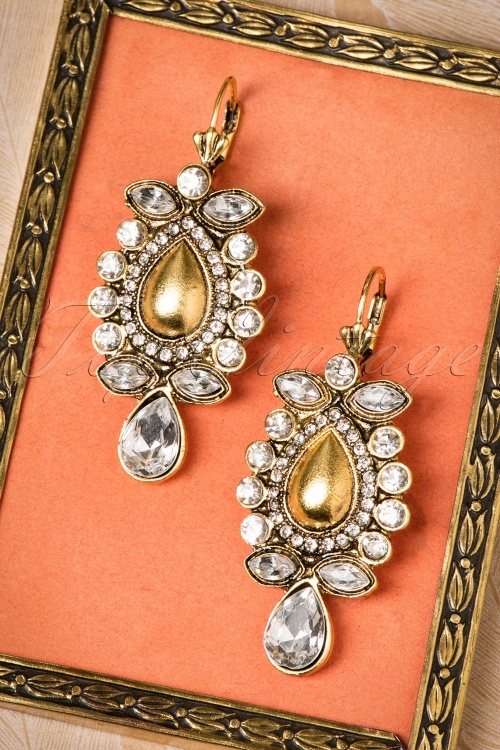 Made from gold toned metal and set with shiny rhinestones in different shapes and sizes. Put your hair up and get ready for a lot of compliments! Top Vintage. Lovely dresses, nice colour and fabric. Comfortabel, beautiful and original shoes. Elegant accessoires. A little bit disappointed with the red turttleneck but thrilled with the black and white sweater. 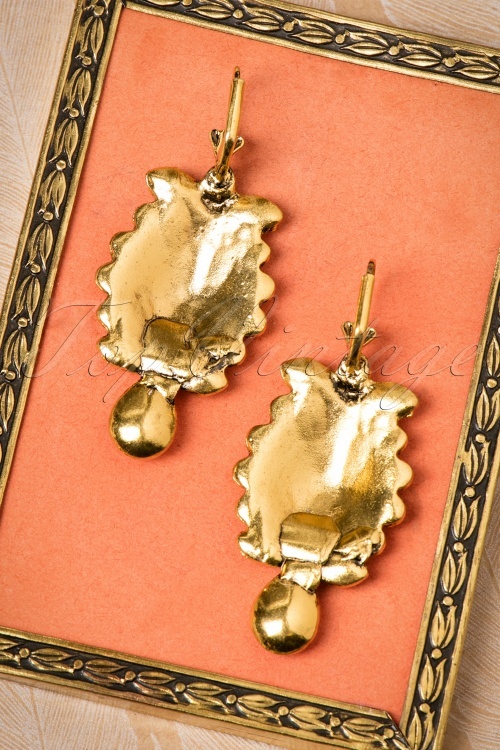 More than 50% of my closet is TopVintage and can't hardly wait to see new cuties! Dark winter will soon begin but I'll have a shiny waredrobe to make my day, that is for sure.